Following a series of ring-grazing orbits that started in November 2016 (grey), the mission executed its 127th and final close flyby of Saturn's largest moon, Titan, on 22 April 2017. The orbit of Titan is shown in yellow. 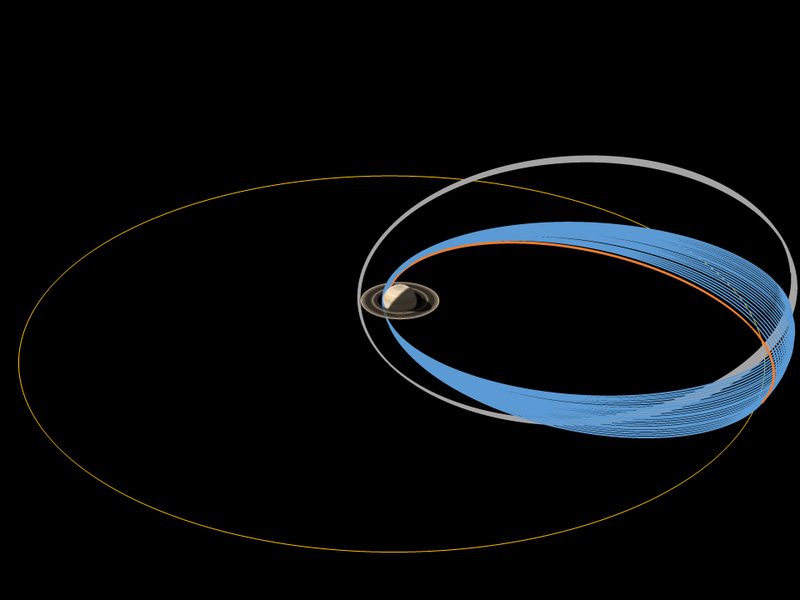 This manoeuvre put the spacecraft onto its 'grand finale' trajectory: a series of 22 orbits, each lasting about a week, drawing closer to Saturn and passing between the planet's innermost rings and its outer atmosphere (blue). 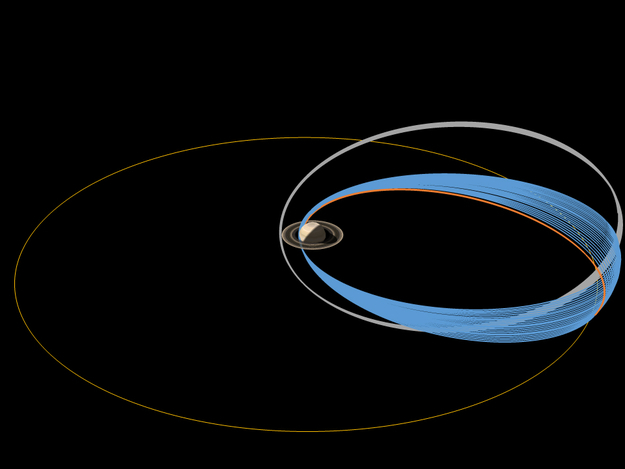 Eventually, Cassini will plunge and burn up into Saturn's atmosphere on 15 September 2017 (orange), satisfying planetary protection requirements to avoid possible contamination of any moons of Saturn that could have conditions suitable for life.